The Israeli central court on Wednesday sentenced a 14-year-old Palestinian teen from Jerusalem to 18 months in prison for throwing rocks and Molotov cocktails at an illegal Israeli settlement outpost, the teenager's lawyer told Ma'an. Muhammad Mahmoud said 14-year-old Jihad al-Jaabari would also have to pay a 5,000 shekel ($1,286) compensation fee to an Israeli settler. The boy's lawyer said he plans to appeal the case in Israeli court. Mahmoud added that al-Jaabari was detained in November. Under Israeli law, minors as young as 14 years of age can be sentenced to time in adult prison. Though al-Jaabari was sentenced under Israel's civil courts, according to prisoners' rights group Addameer, around 700 Palestinian children are prosecuted every year through Israeli military courts. Addameer found that the most common charge levied against Palestinian children is stone throwing, a crime that is punishable by up to 20 years in prison. After a wave of upheaval swept through the occupied Palestinian territory and Israel at the start of October, Israeli forces began increasing their detention of children. According to Addameer, the number of Palestinian children in Israeli detention nearly doubled -- with 307 children detained at the end of October, compared with 155 at the end of August. 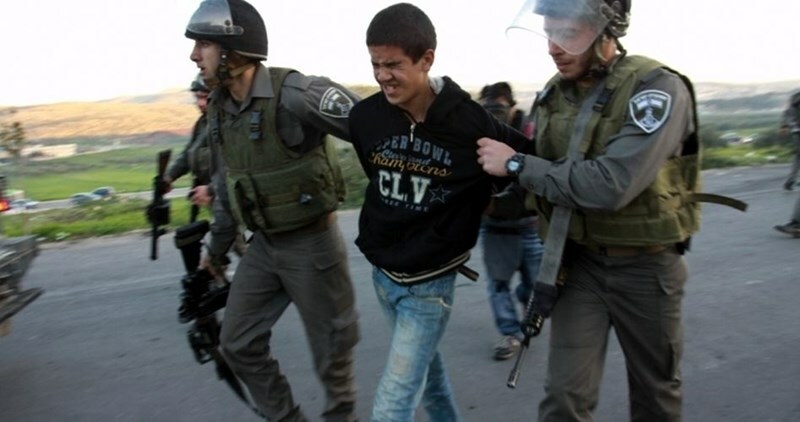 As of February, there were approximately 450 Palestinian children detained in Israeli jails. A state of tension has prevailed in Eshel prison near Beersheva city to the south of occupied Jerusalem after a provocative Israeli night raid into the prisoners’ rooms. 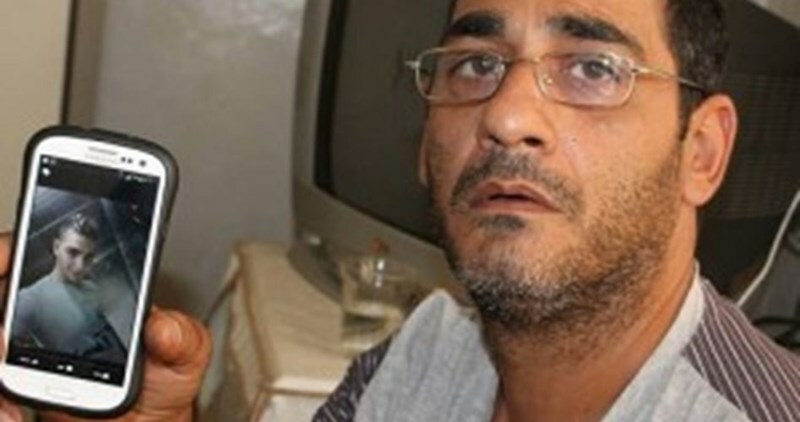 The Prisoners Media Center said that Palestinian prisoner Fadi Abu Huda clashed with an Israeli officer during a provocative night raid into section 11. Following the clashes, Israeli Special Forces broke into the section and severely attacked Abu Huda and his colleagues, according to the sources. Abu Huda family expressed concerns over their son’s whereabouts as he was missed after the clashes. We were informed that he was moved to an unknown detention center, Abu Huda’s brother told PIC reporter. Abu Huda, 27, was sentenced for 14 years in prison for being affiliated to the Popular Front for the Liberation of Palestine. No further information was revealed since then, the brother continued, pointing out that his family members are banned from visiting Abu Huda under security pretexts. Palestinian prisoners held in Eshel prison have repeatedly complained from Israeli provocative night raids and collective punishment measures against them, which usually lead to clashes with Israeli jailers. The Israeli police arrested two Palestinian youths from within the Green Line for allegedly “plotting to carry out attacks against Israeli targets”, Israeli media sources claimed on Thursday. Yediot Ahronot Hebrew newspaper claimed the arrest of Bahaa al-Din Masarwa and Ahmad Ahmad from Nazareth for planning to carry out “shooting attacks in Afula, Jerusalem, and the Jalama checkpoint near Jenin." Bahaa al-Din Masarwa, 19, and Ahmad Ahmad, 21, were charged with establishing contact with enemies during war, contacting a foreign agent, and supporting a terrorist organization”, the according to the newspapers’ allegation. The Israeli police described Masarwa as a student from Jenin who "passes through the Jalama checkpoint all the time and was planning to hurt security forces at the checkpoint". Masarwa, from Yaffa in the northern Galilee, was arrested on January 22, while Ahmad, from Nazareth, was arrested on February 9. Masarwa said that he and Ahmad “planned to purchase weapons together and commit terror attacks in different locations in order to undermine Israel's security forces”, according to the newspaper's report. Update: "Soldiers Kidnap Eighteen Palestinians In The West Bank"
The Palestinian Prisoners Society (PPS) has reported, Thursday, that Israeli soldiers have kidnapped eighteen Palestinians in various districts if the occupied West Bank, including in Jerusalem. The PPS said the soldiers invaded and searched homes in Burin town, in the northern West Bank district of Nablus, and kidnapped five Palestinians, identified as Nael Dahshat Qadous, Malek Fateh Qadous, Sa’ad ‘Aahed Qadous, Laith Omar Qadous and Islam Nasser Qadous. In Tulkarem, in the northern part of the West Bank, the soldiers kidnapped Mohammad Safareeni, in addition to Abdul-Latif Hasan Toba, 22, and his brother Mohammad, 19, after searching their homes. In Jenin, also in the northern part of the West Bank, the soldiers kidnapped Emad Ahmad Sabaghna, Yazeed Hosni Qar’awi, and Mwaffaq Rajeh Abulhasan. 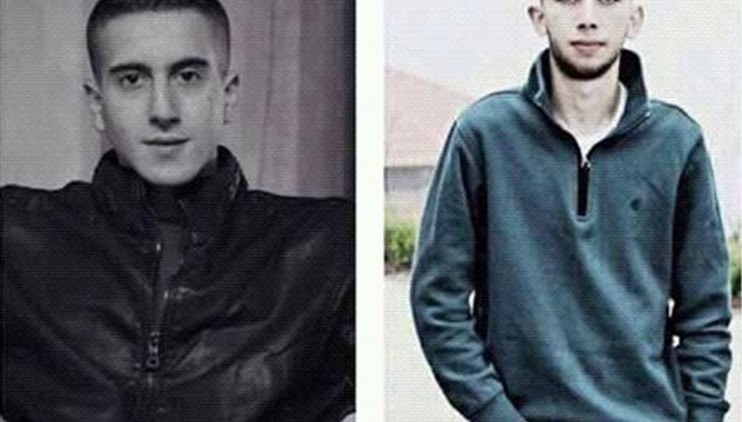 In the northern West Bank district of Qalqilia, the soldiers kidnapped Qussai Zakariyya ‘Adwan, 18, and Ghaleb Khaled Shbeita, 24. In Hebron, in the southern part of the West Bank, the soldiers kidnapped two young men, identified as Fadi Abdul-Hafith Tamimi and Wael Masalma. In Jericho, the army kidnapped a child, identified as Hadiyya Ibrahim ‘Oreinat, 15, from the al-‘Oja town, allegedly after she attempted to stab a police officer directing traffic after a tree fell down on road #90; the officer suffered a mild shoulder injury. In addition, the soldiers invaded and searched homes in the al-‘Eesawiyya town, in occupied Jerusalem, and kidnapped two Palestinians identified as Younis ‘Oleyyan and Ali Mheisin, before taking them to an interrogation center. Israeli soldiers have kidnapped, earlier Thursday, at least nine Palestinians in different parts of the occupied West Bank, assaulted and injured another, and demolished a gas station. A Young woman was also detained near Jericho, reportedly after mildly wounding an officer. Media sources in Jenin, in the northern part of the occupied West Bank, has reported that several Israeli military vehicles invaded the city, searched and ransacked homes, and kidnaped two teenagers, identified as Emad Jamil Sabaghna, 19, and Yazeed Hosni Arqawi, 17. The sourced added that the soldiers broke into the home of Monjed Arqawi, held him and his family in the bathroom, interrogated and repeatedly assaulted his son Monjed, 17, in a different room, causing various cuts and bruises that required hospitalization. Israeli security officers also kidnapped a young Palestinian man, identified as Mohammad Mousa Awwad, 20, from Bethlehem. He was initially summoned for interrogation in a military base, between Jerusalem and Bethlehem, and was kidnaped directly after he reached it. The army also invaded and searched homes in Hindaza area, east of Bethlehem, and Husan town, west of the city, and interrogated the families. In addition, the soldiers invaded and searched many homes in Iraq-Burin town, south of the northern West Bank city of Nablus, after closing its entrances with sand barriers, and kidnapped five Palestinians. The soldiers also closed the Huwwara and Awarta military roadblocks, in addition to the main road that links between Nablus and the districts of Qalqilia and Tulkarem. In related news, many army vehicles invaded Hizma town, northeast of occupied Jerusalem, and demolished a gas station, belonging to resident Haitham al-Hilo, allegedly for being built without a construction permit. In Hebron city, in the southern part of the West Bank, the soldiers invaded and searched many homes, and kidnapped Fadi Abdul-Hafith Tamimi, 23. Dozens of soldiers were also deployed on all roads leading to Beit Ummar town, north of Hebron, and installed roadblocks in various areas, before stopping and searching dozens of cars, and completely obstructed traffic to all Palestinians driving on the Jerusalem-Hebron road. Furthermore, soldiers detained a young Palestinian woman in the al-‘Oja village, in Jericho, reportedly after she attempted to stab a police officer directing traffic after a tree fell down on road #90; the officer suffered a mild shoulder injury. The Israeli Police also said one if its vehicles came under fire near Ariel Israeli colony, in the northern part of the occupied West Bank. 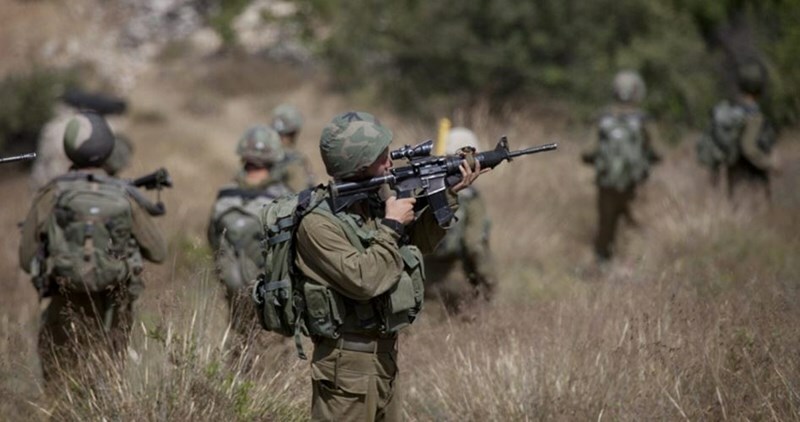 On Wednesday evening, the soldiers conducted searches in various hills and mountains in Jenin, especially in Jaba’ town, while a military helicopter flew overhead firing flares. Dozens of Palestinian prisoners being held at Etzion detention center started an open-ended hunger strike on Thursday to demand their jailers to improve their incarceration conditions. The Palestinian Commission of Detainees and Ex-Detainees in Bethlehem said the tragic detention conditions in Etzion forced 46 prisoners to go on hunger strike. 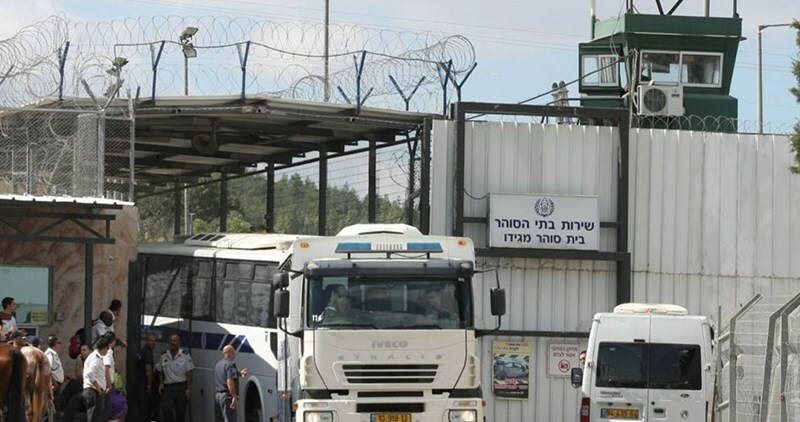 Senior official of the commission Munqed Abu Atwan explained that "Etzion detention center is a transit prison where detainees are held only for several days before their transfer to interrogation centers and main jails." Abu Atwan added that the facility is subject to the jurisdiction of the Israeli army and considered one of the worst detention centers. 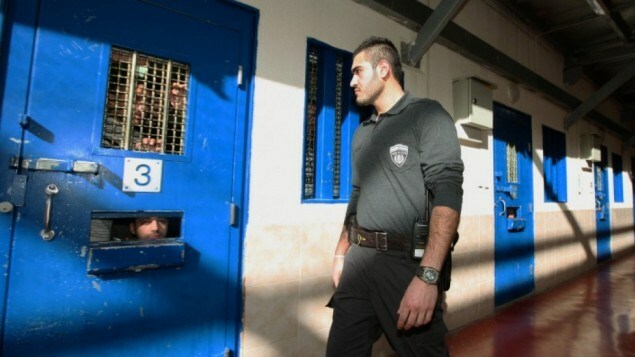 The prisoners in Etzion complain about overcrowding in their cells, insufficient blankets, the poor quantity and quality of the food served to them, and the spread of diseases and infections among them. They are also exposed to maltreatment and physical violence at the hands of soldiers who force them to stay outdoors under rainy and cold weather conditions and then embark on beating them or keeping them in uncomfortable conditions for long hours, according to the official. Palestinian Prisoners Society revealed on Wednesday that there are 17 Palestinian captives suffering injuries and illnesses held in the clinic of Israeli Ramleh jail. They are suffering serious health conditions due to the Israeli policy of procrastination in providing them with treatment. Lawyer of the society Ratib Harbiyat, who is a representative of prisoners in Ramleh prison, said that the Israeli stall in conducting medical examinations for Palestinian detainees in civil hospitals led to the deterioration of their health conditions and to a late discovery of serious diseases. The captives complained about inappropriate vehicles for their transportation to courts which do not suite their health needs and demanded alternative vehicles instead of the “Bosta” which is not suitable for transporting the injured and the sick detainees. The Israeli Occupation Forces (IOF) carried out overnight violent raids and arrests across occupied West Bank. In Jenin, IOF soldiers deployed in large numbers throughout the city and the neighboring towns amid intensive flights of Israeli helicopters till early morning hours. 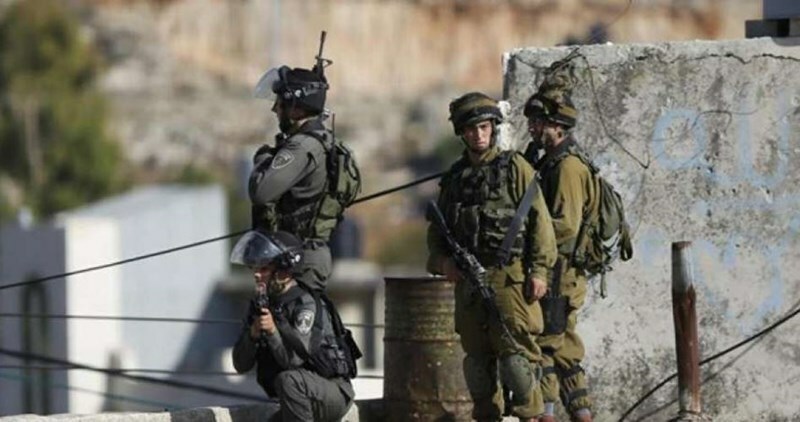 Combing operations were also carried out in the surrounding areas of Nablus following the anti-occupation operations that were reported Wednesday in the city. Flare bombs were heavily fired during the combing operations, while several military checkpoints were erected in the area. On the other hand, IOF arrested overnight a young man at al-Hamra checkpoint in the Jordan Valley and took him to unknown detention center. An 18-year-old youngster was also arrested after Israeli forces brutally stormed his family home in Jenin at dawn today. Four other youths were arrested south of Nablus after Israeli forces stormed their homes. Meanwhile, Israeli forces continued to close Hawara checkpoint, preventing people movement in both directions. The Israeli Occupation Forces (IOF) arrested Thursday morning a Palestinian young woman from Auja town in the Jordan Valley for allegedly stabbing an Israeli policeman. Israeli media sources claimed that a Palestinian young woman was arrested after stabbing and slightly injuring an Israeli policeman in his shoulder near Auja town. Late Wednesday, unidentified persons opened fire at an Israeli patrol near Rahalim settlement illegally built in Nablus. No injuries were reported during the alleged shooting. The Israeli occupation forces (IOF) on Wednesday evening kidnapped two young men in Ramallah and Jerusalem cities and four others in Ya'bad town, south of Jenin city. In Ramallah, a Palestinian security source said that plain-clothes soldiers stormed al-Taira neighborhood west of the city and kidnapped a young man identified as Nidal al-Jarushi from outside al-Mansi restaurant. The young man is a resident of al-Ramla city in the 1948 occupied lands. In Jerusalem, Israeli security forces kidnapped, with no known reason, 21-year-old Mohamed Taha at the checkpoint of Shuafat refugee camp, northeast of the city. The young man was violently assaulted and searched by soldiers at the checkpoint before he was taken to an undeclared place, according to eyewitnesses. In other incidents, local sources in Jenin told the Palestinian Information Center (PIC) that Israeli soldiers kidnapped two young men identified as Atef Abu Shamlah and Dawoud Abu Shamlah during raids on homes in Ya'bad town. Two other young men identified as Bara Abu Abed and Ibrahim Aamur, both from Ya'bad, were also rounded up by soldiers at the checkpoint of Mevo Dotan settlement. Israeli authorities, on Tuesday evening, have released the coordinator of Youths Against Settlements, Issa Amr, and the director of the Independent Commission for Human Rights (ICHR) office in the southern West Bank, lawyer Farid Al-Atrash. Amr from YAS movement was arrested on Monday evening, when Israeli forces stormed the commission’s headquarters in the old city of Hebron. Spokesman for YAS, Mohammed Zghayyar, told the PNN that Amr was accused of incitement against Israel. Zghayyar added that Amr’s arrest indicates the military’s intentional target on Palestinian popular resistance and its activists in Hebron, especially after the Open Al-Shuhada Street Campaign. The local activist group has been constantly been targeted by the Israeli military for their non-violent resistance against the occupation. At the end of 2015, forces took over the Center for military use, destroying their media equipment. Settlers have repeatedly attacked the group members and wrongfully accused them of crimes. Back in November, Amr was arrested under the accusation of ‘disturbing the soldiers’ and ‘hiding a terrorist in his house’. Amr was detained in a bathroom for more than four hours, with his hands cuffed behind his back and blindfolded. He was interrogated for long periods of time before being released. In December, the army threatened to close down the YAS headquarters in Tel-Rumeida, central Hebron. Back then, Issa Amr said that the threats came in light of the Israeli military expansion in Tel-Rumeida, which aim to seize Bait Al-Sumood in the street, under constant pressures from settlers in the street. On a related note, authorities on Tuesday night have also released the activist, lawyer Farid Al-Atrash, on a 1500 NIS ($400) fine. Four days after the arrest on Friday, February 26, Farid’s first hearing session took place on Monday, when the Israeli military prosecutor of Ofer court has ruled to keep Farid detained until Thursday, March 3. Gowever, Farid was released two days earlier after an appeal hearing that was requested by a team of ICHR lawyers on Monday. Al-Atrash was violently assaulted and arrested on Friday, 26 February, during a nonviolent protest in Hebron that called on opening the Al-Shuhada street and give it back to Palestinian owners. The protest that Farid took part in came in the frame of the 7th International Campaign to open the street. The Israeli law allows the police to arrest activists up to 96 hours, and so Farid’s hearing was supposed to take place on Tuesday 1 March. However, the commission demanded an urgent hearing that will take place one day earlier, on Monday. 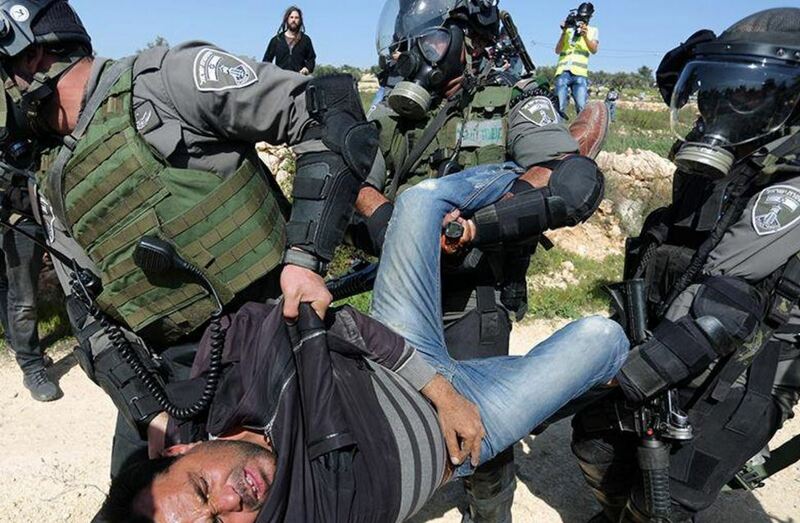 PSCC stated that it was concerned about the detention, which solely relates to his legitimate and peaceful human rights activities in the occupied Palestinian territories. Furthermore, PSCC expressed concerns at the continuous arrests, harassment and prosecution of human right defenders and activists. At least 46 Palestinian detainees being held at Etzion incarceration facility will begin an open hunger strike on Thursday, in demand of better living conditions, according to a lawyer for the Palestinian Prisoners' Society. Jacqueline Fararjeh said that the detainees are protesting the quality and quantity of food served to them, in addition to filthy living conditions, inadequate medical treatment and lack of regular access to showers. Fararjeh said some prisoners had not bathed in 15 days, Ma'an News Agency reports. While Fararjeh explained that Etzion jail is supposed to house Palestinians awaiting charges and trials, at least 11 Palestinians being held at the prison have been put under administrative detention, meaning they should be transferred from the facility, but have not, due to the overcrowding at other prisons. The lawyer added that Etzion jail falls under Isreali military jurisdiction, not the central Israeli Prison Service, and is considered one of the worst detention centers at which Palestinian prisoners are held. Late last month, a lawyer with the Palestinian Authority's Prisoners' Affairs Committee, Hussien al-Sheikh, said Etzion was "flooded" from heavy rainfall. The flooding, al-Sheikh said, ruined detainees' clothing and blankets, as mold took root in the dampened materials. He added that due to the poor conditions, flu and skin infection had started to spread among the prisoners, who remained untreated. In addition to deteriorating living conditions in the jail, al-Sheikh documented cases of Israeli authorities insulting, beating and torturing prisoners during interrogations. Rights groups have long criticized Israel for mistreatment of Palestinians in Israeli jails, as well as the illegality of their imprisonment. Nearly 7,000 Palestinians are currently held in Israeli jails, many of whom face torture, denial of family visitation, and medical negligence. The Israeli occupation forces (IOF) on Wednesday kidnapped 29 Palestinian young men from different West Bank areas. According to the Palestinian Prisoner Society (PPS), 10 Palestinian young men were taken prisoners in IOF campaigns in different towns of Jenin province. 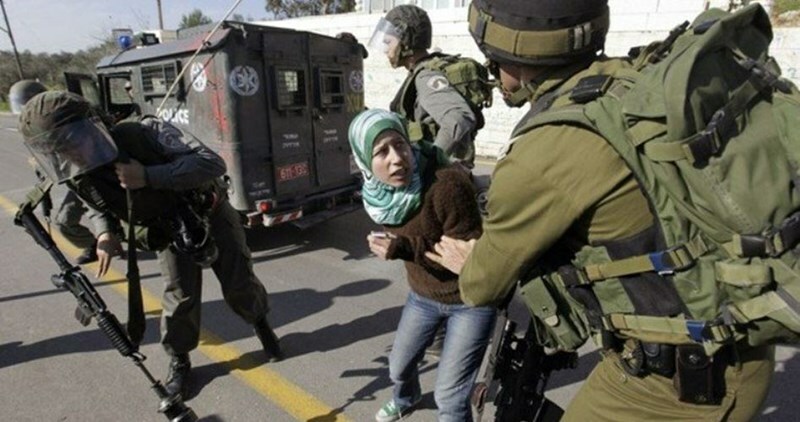 Six others, including a teenager aged 15, were also kidnapped by the IOF in Occupied Jerusalem. The IOF also kidnapped 13 young men from different towns in Ramallah, Bireh, al-Khalil, Salfit, Tulkarem, Tubas and Nablus. Israeli soldiers have kidnapped, earlier on Wednesday, at least fifteen Palestinians, in various military invasions targeting different parts of the occupied West Bank, including Jerusalem. The soldiers also demolished an under-construction building in Jerusalem. In occupied Jerusalem, the soldiers stormed and searched many homes, and kidnapped four Palestinians, including a child. The Wadi Hilweh Information Center in Silwan (Silwanic) has reported that the soldiers kidnapped Mahmoud Shaweesh, 15, from the Suwwana neighborhood, in Jerusalem. The soldiers also kidnapped Luay Abu al-Hummus, from his home in the al-’Eesawiyya town, in the center of Jerusalem, and violently searched the property, in addition to Ahmad al-Faqeeh and Mohammad al-Faqeeh, from their homes in Qotna town, northwest of Jerusalem. 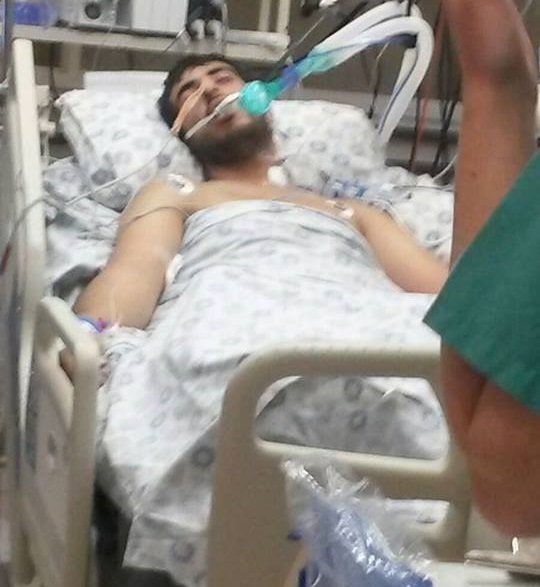 Silwanic said the soldiers shot al-Faqeeh before abducting him. Also in Jerusalem, the soldiers demolished an under-construction residential building in the at-Tour village, east of occupied Jerusalem, allegedly for being built without a permit. The building contained three floors of 250 square meters each, and its owners started building it approximately four months ago. Israel imposes tight restrictions on the Palestinians in occupied Jerusalem, in addition to excessive fees and complicated procedures, in an attempt to prevent them from building homes, or expanding existing ones, an issue that pushes growing families to build before obtaining a permit, while at the same time filing legal paperwork. The fines and fees imposed on them are in most cases much higher than construction costs. 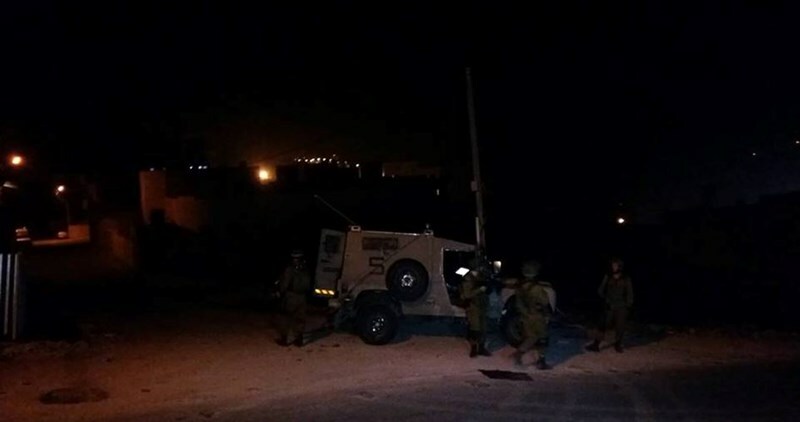 In the southern West Bank district of Hebron, the soldiers invaded and searched several homes, and kidnapped three Palestinians from Halhoul and Beit Ummar towns, north of the city. Media sources in Hebron said the soldiers kidnapped Saddam Ghaleb al-Baw, from Halhoul, in addition to Ahmad ‘Akef Awad, 16, and Nidal Amr Abu Mariya, 17, from their homes in Beit Ummar. The soldiers also invaded the home of Yousef Bader Awad, and told him they were looking for his son, Rashed, 17, but he was not home. In it worth mentioning that the soldiers have kidnapped 23 Palestinians, including eight children, from Beit Ummar town since the beginning of this year. In the northern West Bank district of Jenin, the soldiers also searched many homes and kidnapped two Palestinians, identified as Islam Ahmad Abu Ali, 25, from Serees town, and Ghassan Mohammad N’eirat from Methaloon town. Furthermore, the soldiers invaded Sanour town, near Jenin, searched a home, belonging to Shu’aa Jarrar, and assaulted his child Mahmoud, 15, in addition to searching the home of (late) Mofeed Omar Ayasa, and assaulting his child, Mohammad. In Ya’bad town, south of Jenin, the soldiers stormed and ransacked many homes and kidnapped five Palestinians, identified as Mohammad Hussein Amarna, Dia Khaled Zeidi, Adham Khaled Badarna, Abed Shattour Abu Bakr, and Mohammad Hassan Abu Bakr; all in their twenties. In Qabatia town, south of Jenin, the soldiers searched homes and kidnapped a young man, identified as Mohammad Saleh Hanthawi. In related news, the soldiers detained five Palestinians, from Beit Rima town, northwest of Ramallah, after stopping them on the Atara roadblock, north of Ramallah, and searched dozens of cars. The soldiers also installed a roadblock near Nabi Saleh village, before stopping and searching dozens of cars, and interrogated many Palestinians while inspecting their ID cards. A number of Palestinians were kidnapped by the Israeli occupation forces (IOF) in an abduction sweep launched across the northern West Bank provinces of Jenin and Nablus at dawn Wednesday. A PIC journalist quoted local sources as stating that the IOF troops rolled into Jenin’s southern town of Qabatiya and arrested the citizen Muhammad Saleh Hathnawi after they wreaked havoc on his family home. 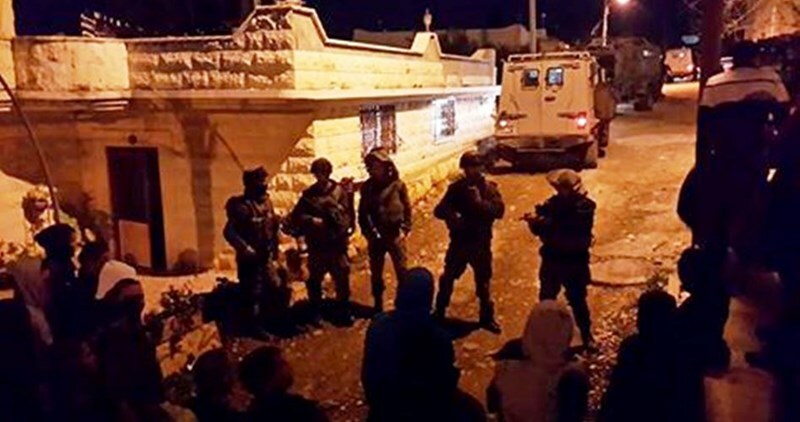 The occupation troops further stormed Sanur town, in southern Jenin, and broke into civilian homes, before they subjected them to exhaustive questioning. Two Palestinian youths, from the Umr and Jarar families, were aggressively beaten by the IOF soldiers in the presence of their family members. 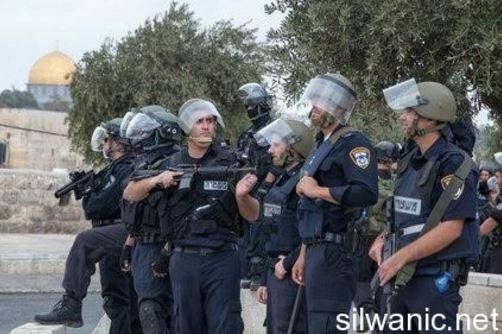 According to eye-witnesses, the IOF raked through Anza, Siris, and Mithlon towns, in southern Jenin, and pitched a series of checkpoints all the way through the assault. Earlier, overnight Tuesday, the IOF summoned 27-year-old Mootaz Uni Abu Alya for interrogation in the Salem military camp after they stopped him at the Karama border crossing with Jordan on his way back home from Umrah (Minor Pilgrimage). The IOF further kidnapped the youngster Omar Mussa from his own family home in Nablus’ western town of Zawata. Israeli soldiers, in military jeeps, also rolled into several residential neighborhoods across the southern West Bank city of al-Khalil, rummaged into the homes of Palestinian ex-prisoners’, and wreaked havoc on the properties and furniture. A report issued Tuesday by institutions concerned with Palestinian prisoners in Israeli jails revealed that Israeli occupation forces arrested 616 Palestinian, including 140 minors, from Occupied Jerusalem, the West Bank and Gaza Strip in February. The report showed that 158 Palestinians were arrested from Occupied Jerusalem. 125 others were rounded up in al-Khalil, 70 in Nablus, 68 in Ramallah and al-Bireh, 65 in Jenin, 58 in Bethlehem, 31 in Tulkarem, 22 in Gaza Strip, 13 in Jericho, 11 in Salfit, 10 in Qalqilya and 5 in Tubas. 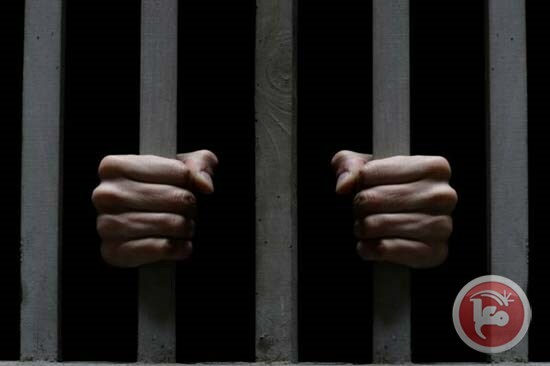 The report also stated that 161 orders of administrative detention were issued and accordingly increased the number of Palestinian prisoners in Israeli jails who are held under administrative detention to 750 captives. The number of female prisoners also jumped to 62 including 14 minors. The number of sick captives also reached 700 and of minors is 400 captives. Israeli soldiers invaded, on Tuesday at dawn, a number of Palestinian districts, in different parts of the occupied West Bank, broke into many homes and kidnapped eighteen Palestinians. Two Palestinians have been injured after Israeli extremists assaulted them. Media sources in the northern West Bank district of Jenin said the soldiers invaded Qabatia town, south of Jenin city, and kidnapped two Palestinians, identified as Ashraf Rajeh Zakarna, 28, and Mohammad Abdul-Mon’em Zakarna, 21. The soldiers violently searched their homes, causing excessive property damage, and interrogated their families, in addition to installing a roadblock on the southern entrance of the town, and searching olive orchards in the area while firing flares. In addition, the soldiers invaded the Qabatia town, south of Jenin, searched homes and kidnapped one Palestinian, identified as Nasser Mohammad Freij, 21. The army also invaded the northern West Bank city of Nablus, searched many homes, and a tailor shop belonging to members of Ayyad family, before confiscating several machines and furniture, and kidnapped two young men, identified as Mahmoud Anabtawi and Firas ash-Shayeb. In related news, a number of extremist Israeli colonizers assaulted Ayman Ahmad Bin Shamsa, from Beita town, south of Nablus, causing several cuts and bruises. They also attacked and wounded Mahmoud Suleiman Rezeq, from Askar refugee camp, causing several injuries. The army also kidnapped four young Palestinian men in the West Bank district of Bethlehem, after stopping them on sudden military roadblocks. Two of them, identified as Moath Shobaki, and Hashem Ahmad Shehada, were kidnapped on a military roadblock, west of Beit Jala city, while Shahin Mustafa Shahin, 17, and Rami Ali Taqatqa, 20, were kidnapped on a sudden roadblock installed near the western entrance of Beit Fajjar town. In Hebron, in the southern part of the West Bank, the soldiers installed a military roadblock on the main road leading to the al-Markaz village, south of the city, and searched dozens of cars while examining the ID cards of the passengers. 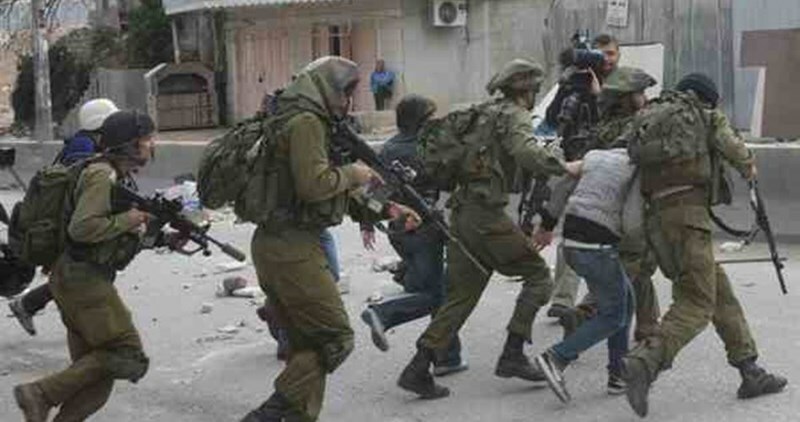 The soldiers also kidnapped seven Palestinians, after violently breaking into their homes and searching them. The kidnapped Palestinians have been identified as Mo’taz Mohammad al-Jo’ba, 23, Qassem Hijazi Abu Sneina, 27, Ahmad Sharif al-Heeh, 22, Tareq Abu Fara, 20, Safwat Abu Fara, Mahmoud Ali al-Hdoush, 20, and Kayed Mohammad al-Fasfous, 23. In occupied Jerusalem, the soldiers invaded Anata town, east of the city, and kidnapped Ahmad Hasan Hilwa and his son Abdullah. In the besieged Gaza Strip, the Israeli navy fired several live rounds targeting Palestinian fishing boats, close to the shore, in different parts of the coastal enclave. Israeli special forces arrested Tuesday afternoon Abdul Salam Abu Ghazala, 42, whose son Thaer was killed by Israeli forces in early October last year. Quds Press said that the father was taken from his house in occupied Jerusalem and transferred to the Old City police station without providing any reason behind his arrest. Abdul Salam was first arrested on October 8, 2015 few hours after his son’s killing. He was then sentenced for three months in administrative detention. Thaer’s body is still detained by Israeli authorities along with eight other victims for being allegedly involved in anti-occupation attacks. Addameer Institution earlier said that Israeli occupation authorities had stepped up repressive measures on funeral processions of those who were killed after allegedly carrying out anti-occupation attacks. The measures included the confiscation of mourners’ cell phones, preventing journalists’ presence, limiting the mourners’ number to 30, imposing heavy fines, and handing over the body after midnight. At least nine Palestinian youths were kidnapped by the Israeli occupation forces (IOF) overnight Monday and early Tuesday after the latter rolled into al-Khalil province and wreaked havoc on civilian homes. Local sources told a PIC journalist that the IOF kidnapped the ex-prisoner Mutaaz al-Ju’ba from the city. Ex-prisoner Kassem Abu Hussein was also kidnapped in the campaign, just three days after he was released from the Palestinian Authority (PA) lock-ups, where he had been subjected to harsh torture. 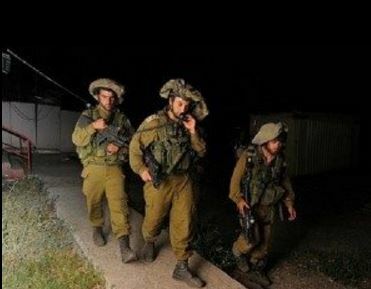 The IOF rummaged into Palestinian homes in al-Khalil’s northern town of Surif and kidnapped three more Palestinians. The occupation troops also kidnapped the brother of the hunger-striking detainee Mahmoud al-Fasfous after they ravaged his family home in Dura town. 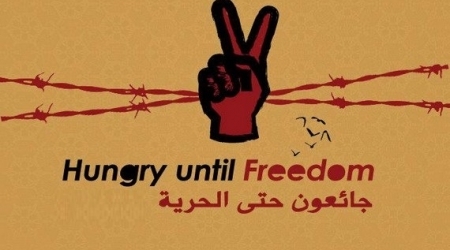 Head of the Palestinian Prisoners Society in al-Khalil, Amjad al-Najjar, said the break-in and the abduction of al-Fasfous’s brother, Kayed, makes part of an Israeli attempt to dampen the hunger-striker’s spirits and foil his hunger-strike. Earlier, on Monday evening, the PA Preventive Forces arrested the university student Ibrahim Salhab from al-Khalil university campus. The PA preventive forces in Dura also summoned the university student Muhammad Issa Abu Arkoub, enrolled at al-Khalil University, for interrogation on Wednesday. The IOF further arrested the coordinator for the anti-settlement youth coalition, Issa Amr, from the group’s headquarters in Tel Rumeida neighborhood, in al-Khalil. Meanwhile, the Israeli Ofer military court, in western Ramallah, extended the detention of head of the independent committee of human rights in the southern West Bank, Farid al-Atrash, to next Thursday. Farid was arrested on Friday in a rally to commemorate the Ibrahimi Mosque Massacre. Prisoners' media office demanded the formation of international investigation committees to probe the bad role of Israeli prison doctors and to visit Israeli jails especially the Ramle prison hospital as well as to examine detention conditions of Palestinian prisoners in Israeli jails. The media office of prisoners said that Israeli doctors in the clinics of Israeli prisons and investigation centers do not pursue humanitarian standards and they work just as servants to Israeli Shin Bet and take part in murdering Palestinian detainees. In a statement on Monday, the office pointed out that Israeli prison doctors exploit the need of sick captives for treatment to blackmail and pressure them in order to take confessions that convict them at courts or to make them stop hunger-striking. The Israeli Occupation Forces (IOF) arrested at dawn Tuesday two Palestinian youths after breaking into the northern West Bank city of Nablus. Eyewitnesses affirmed that two locals including a minor were detained from their homes in the city, while Israeli forces deployed throughout its neighborhoods. The IOF soldiers have also confiscated blacksmith materials belonging to the two brothers Adnan and Alaa Ayad who were arrested on Monday. The Israeli occupation forces (IOF) on Monday kidnapped four farmers and shepherds near Salem town, east of Nablus city. Eyewitnesses told the Palestinian Information Center (PIC) that Israeli soldiers rounded up four young farmers and shepherds as they were en route to al-Lahf area in the town at the pretext they entered a military zone. The four detainees were identified as Sharif Ishtiya, Taher Ishtiya, Yousef Shehadeh, and Saeb Shehadeh. The eyewitnesses also said that the IOF also attacked other farmers and shepherds during their presence in and near Froush Beit Dajan village, east of Nablus.